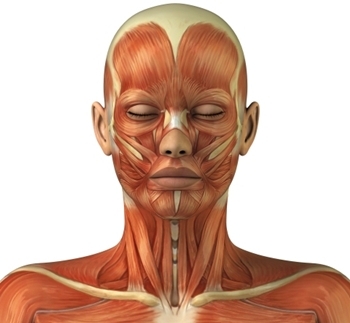 The term "banding" refers to the technique used during the application of the DMK Enzyme Masque which is designed to act directly upon the muscles of the face and neck. The aim of this preventative treatment is to act in advance to block the onset of ageing. It is ideal for those who are at an age (thirties to forties) where the signs of ageing are just beginning to show. MUSCLE BANDING gets results by making use of DMK's world renowned, signature treatment known as enzyme therapy. Enzymes are natural substances that are used to awaken the skin's own natural processes allowing it to function normally and promote the growth of healthy, youthful skin. Join the thousands of people who have slowed down the ageing process with DMK's amazing MUSCLE BANDING Treatment. Ageing is the result of a loss of function in the skin. This means that the skin's own natural processes weaken with age. DMK's MUSCLE BANDING Treatment actually stimulates the skin in such a way that it restores these natural processes and functions helping the skin to do what it's meant to do in a natural way.